Gwendolyn S. Myers, born September 12, 1990 in Monrovia, Liberia comes from a Catholic Christian background and has over six years of experience working in peace and non- violence education among school youth. Ms. Myers is a Global Shaper & Curator for Monrovia Hub of the Global Shapers Community/World Economic Forum and serves as Founder & Executive Director of Messengers of Peace (MOP) – Liberia Inc; with major responsibilities for programme formulation and execution as well as managing the day-to-day operations of the organization. The core value of her organization is to encourage and motivate young Liberians to volunteer for peace and development in Liberia, Africa and the World. The Organization has over one thousand plus young people serving as volunteer peace messengers. The group was established to undertake peace building initiatives and public education programs in communities across the country. The organization actively participated in the recently held elections in Liberia; designing messages of peace and disseminating these through radio jingles, spot messages and street dramas. Ms. Myers has extensive experience in managing programmes for young people through a well established coaching and mentoring programme for adolescent girls and the establishment of peace clubs in schools and poor communities in and around Monrovia. In addition, she has experience using various media platforms such as radio, print and community outreach to implement and evaluate programmes. Ms. Myers received a tertiary education in Biology & Chemistry from the Mother Patern College of Health Sciences, Stella Maris Polytechnic-Liberia and has a post graduate certificate in Peacebuilding &Leadership from the Women Peacebuilding Leadership Cohort Program at the Center for Justice and Peacebuilding, Eastern Mennonite University, VA, USA. 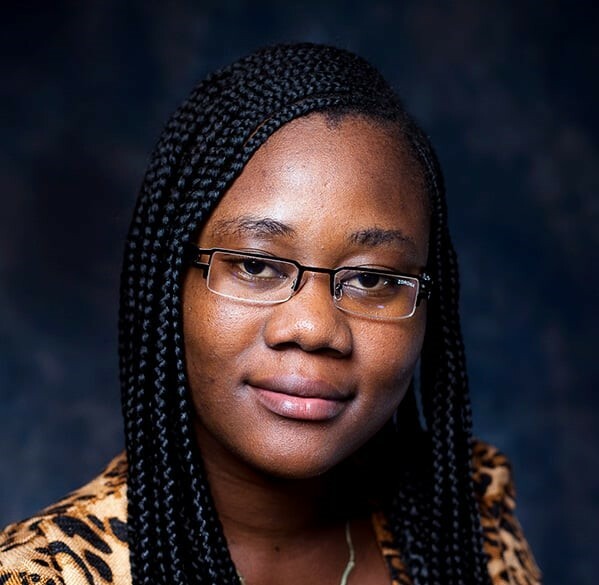 She also worked for the Kofi Annan Peace Institute for Conflict Transformation (KAICT), University of Liberia as Program Coordinator for the YON GBON Youth Leadership Program. Ms. Myers also serves on the Global Shapers Community Advisory Council for Hub Activity, World Economic Forum and Volunteer Youth Columnist for the leading newspaper in Liberia; The Liberian Daily Observer Newspaper, writing weekly articles on issues relating to youth & peacebuilding, young women participation in community & national development, strategic peacebuilding, sexual reproductive health, gender based violence, values and dignity. As a result of her continual quest for peace, Ms. Myers has recently been appointed to serve as Liberia’s Ambassador to the World Peace is Possible Foundation in the Netherlands and the U.S.A.